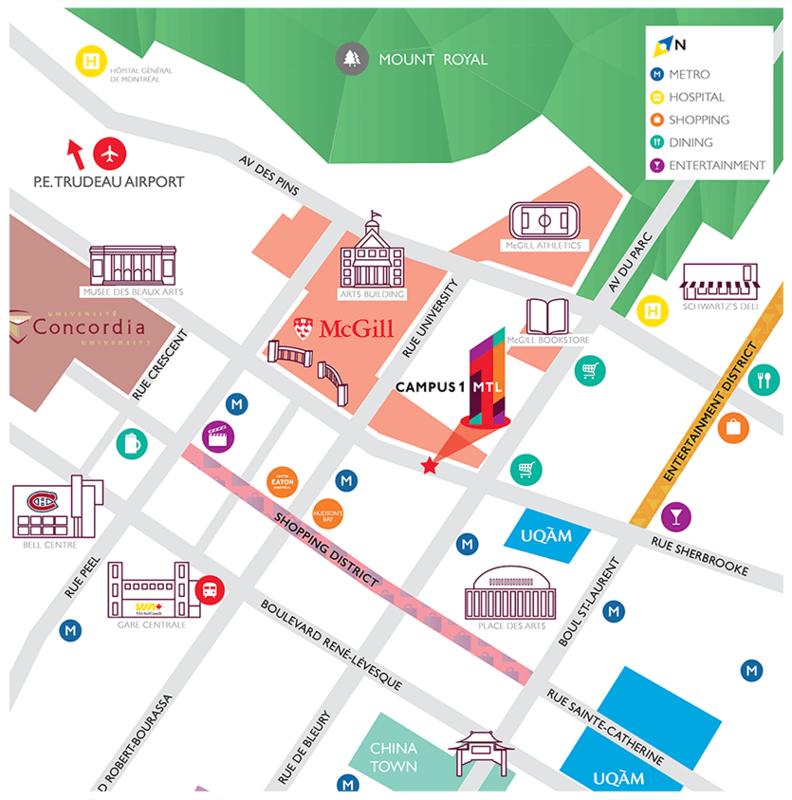 Located in the heart of downtown Montreal, Campus1 MTL is Montreal's most innovative student residence. Recently opened, and conveniently located across the street from McGill University, Campus1 MTL is the ultimate student residence experience. Enjoy luxury urban living and state-of-the-art amenities in a secure environment.